Howard Stern Re-Signs: What's Next for Sirius XM Stock? Now that Howard Stern is secure for five more years, we want to know what readers of TheStreet think is next for Sirius XM stock. NEW YORK ( TheStreet) -- Howard Stern signed a new five-year contract with Sirius XM ( SIRI - Get Report) this morning, ending months of speculation regarding the shock jock's plans. His announcement came less than one month before his original five-year, $500 million deal was due to expire. Investors have waited on bated breath for any indication of Stern's plans for the past year. This morning, Sirius XM's share price spiked more than 10% to $1.44 in premarket trading on the news that Stern would be returning to satellite radio. Shares have since leveled out to around $1.40 while more than 152.5 million shares have traded hands today, almost triple the 3-month average daily volume of 56.5 million. Sirius has recently hit a string of new 52-week highs and has been steadily gaining since its year low of around 56 cents. Sirius is up nearly 120% in the past year as investors have been bullish on positive news. On Nov. 4, shares spiked to a 52-week high of $1.61 after the satellite radio company reported that it had swung to a third-quarter profit and upped its guidance for the full year. For the quarter ended September 30, 2010, the company saw earnings swing to a profit of $67.6 million, or a penny per share, compared with a loss of $151.5 million, or 4 cents per share, in the same period a year ago. Earnings came in one cent ahead of analyst estimates of 0 cents. Management raised its outlook for the year, projecting that adjusted earnings before interest, taxes, depreciation and amortization will come in around $600 million, up from the previous forecast of $575 million. It also expects adjusted revenue to exceed $2.8 billion in 2010. Sirius counts on a lineup of big-name talent from the worlds of media and entertainment to retain subscribers and attract new ones. Commercial-free listening would mean far less without the likes of a Howard Stern or Oprah Winfrey behind it, especially as Internet radio outlets like Pandora.com gain more ground and become more viable competition. Subscribers are the most important source of revenue for the company, pulling in billions of dollars each year. On Nov. 30, Sirius announced that it had passed the 20 million subscriber mark, and reached the highest number of net subscribers in satellite radio history. Chief executive officer Mel Karmazin said he expects to end 2010 with the 20.1 million subscribers. Analyst Barton Crockett of Lazard Capital maintained his buy rating of the stock with a $1.65 price target in a Dec. 9 research note, as the risk of Stern's contract renewal won't exist for another five years. Analyst Greg Brown of Wunderlich Securities also maintains his buy rating of the Sirius stock, but with a higher price target of $1.75 on the recovering U.S. auto market and Stern's contract renewal. "Stern is a unique franchise and is virtually irreplaceable in the sense of not being able to placate Stern loyalists with other talking head personalities," Brown said in his Dec. 9 research note. Brown believes that Sirius is well-positioned to monetize Stern by keeping programming costs to a minimum. However analyst David Joyce of Miller Tabak rates Sirius as neutral with a price target of $1.60, as he believes that "while this talent retention should salvage Sirius' subscriber, operating income before depreciation and amortization and free cash flow growth," the news that Stern is staying isn't enough to "chase the stock." Now that Howard Stern will be on for five more years, we want to know where readers of TheStreet think shares of Sirius XM are headed. Take the poll below to see the consensus of TheStreet. 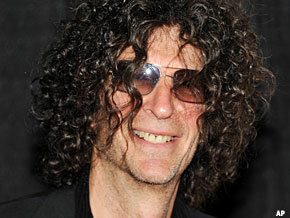 With Howard Stern secured for five more years, where do you think Sirius XM's stock will trade by the end of 2011?